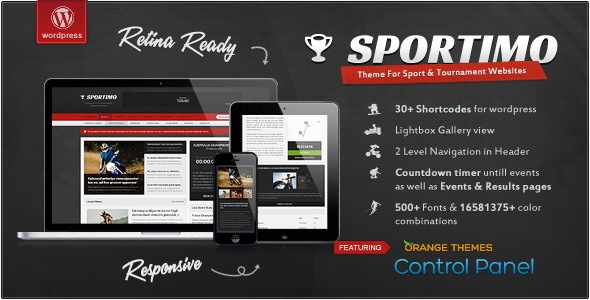 This is a collection of beautiful sports WordPress themes in popular 2014. 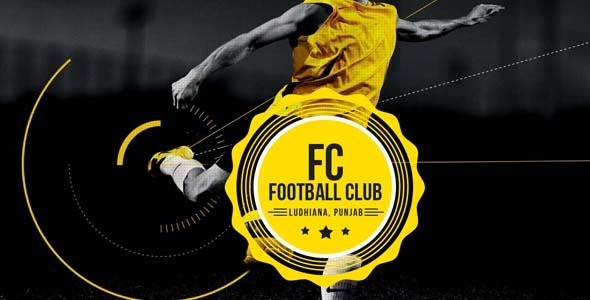 All these have unique designs. 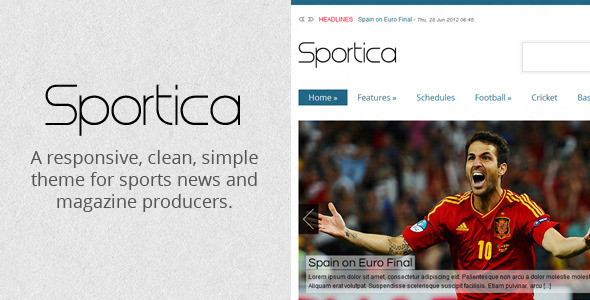 Although some of these themes are free, they have premium looks. 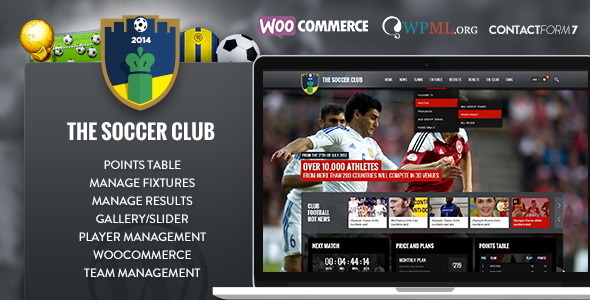 If you are looking to start a new WordPress site or going to change your old one , this theme collection will help you to select a best WP theme. 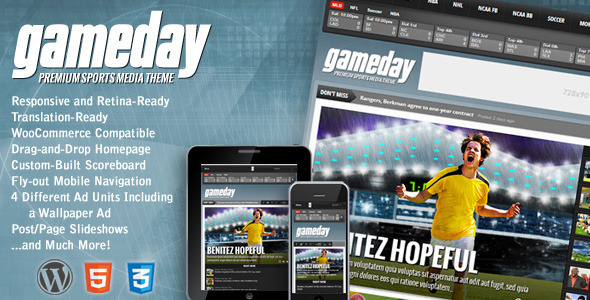 These themes can be used for both personal and commercial use. 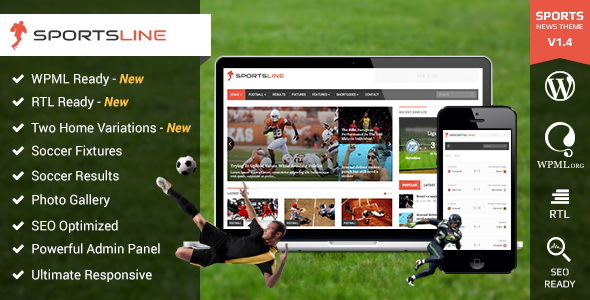 So if you are a BIG Soccer Fan or want to blog about your sport tips or update Cricket Scores then you have come on suitable place. 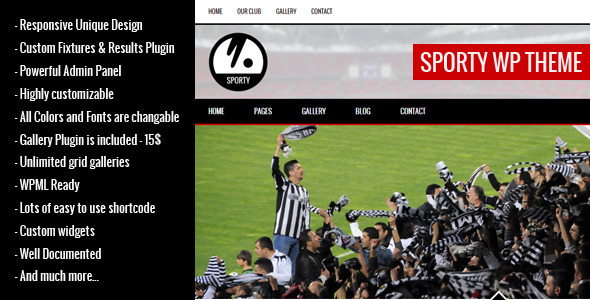 These are awesome collection of sports WordPress theme that you may want to use in your next blog or project. 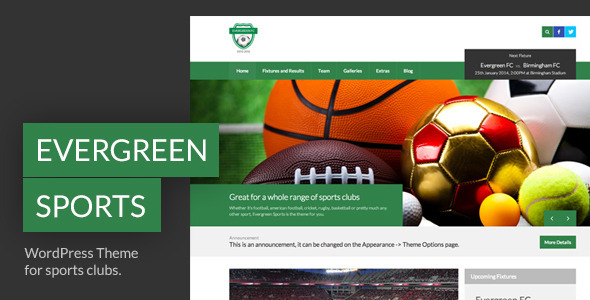 Evergreen Sports is a WordPress theme for sports clubs and societies. 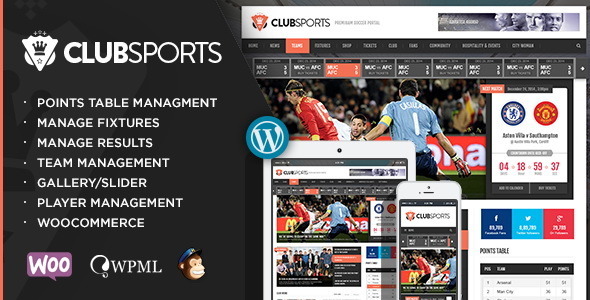 Sporty is a responsive wordpress sport club theme. 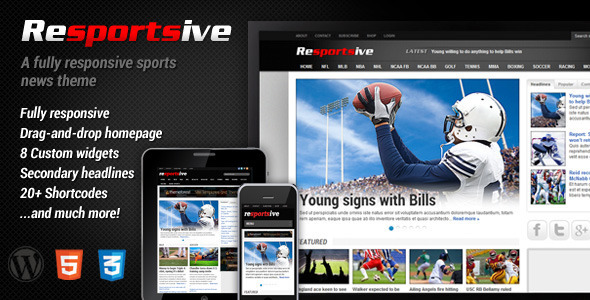 It’s suitable for soccer, football, american football, basketball, baseball, rugby, cricket, volleyball, ice hockey, handball, etc.. sport clubs.